Channel Ship Services hacked by TheDarkOverlord; has maritime security been compromised? Home » Breach Incidents » Business Sector » Channel Ship Services hacked by TheDarkOverlord; has maritime security been compromised? When TheDarkOverlord hacked Channel Ship Services, they not only acquired personal data that could be misused for fraud, but they claim they also acquired information that can jeopardize maritime security. 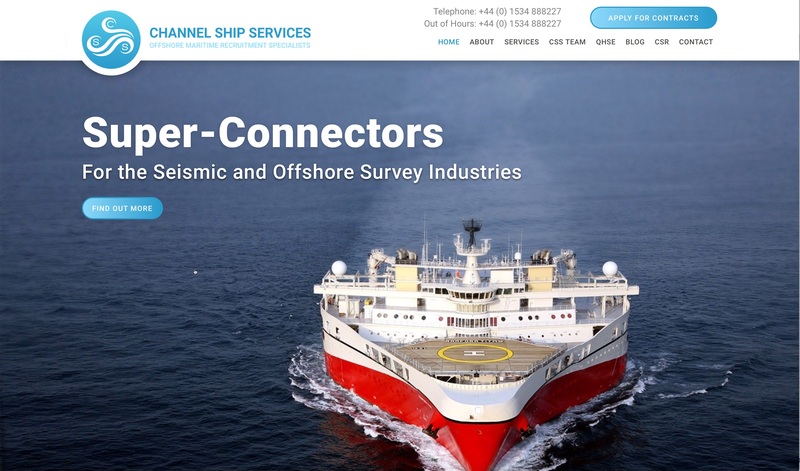 According to Jersey-based Channel Ship Services’ website, CSS Limited provides highly qualified permanent and contract specialist personnel to the global offshore industry. Those personnel have recently had some of their personal data hacked by the hacker(s) known as TheDarkOverlord (TDO). As anyone who has followed TheDarkOverlord’s criminal activities for the last 2+ years knows, TDO does not take kindly to having their “requests” ignored or refused. From the fact that this site is reporting on the breach, one can infer that CSS did not cooperate with TDO. Tweet by @tdo_hackers to Christopher Inns and Kevin Gollop of Channel Ship Services, Nov. 18, 2018. Although copies of communications were not provided to DataBreaches.net, TDO did provide this site with a small sample of the files they had acquired. Those files included seafarer agreements and contracts that would specify the contractor’s name, their passport number (in some cases), the wage rate that they would be paid, and other contractual provisions. Other data acquired by TDO and provided to this site included a spreadsheet with client information, including the company name, and the name, email address, position, and telephone number of the contact person at the client’s company. While the data by themselves do not appear sensitive, it would certainly be useful information for anyone trying to socially engineer information or to set up a business email compromise or phishing attack. We’ve stolen everything they’ve ever had, and indeed we have information about staffing and routes for armed security for certain maritime vessels. Very sensitive information detailing TTPs [Tactics, Techniques, and Procedures] and the navigation routes. Information pirates would thoroughly enjoy, and we’re currently looking down avenues of having some maritime vessel crews taken hostage. Surely, CSS would pay us then. It is hard to believe that TDO would go quite that far, but this is certainly not the first time that they have indicated a willingness to arrange to have people harmed. Because this blogger has no expertise in GDPR, DataBreaches.net does not know whether notification of this incident would be required under GDPR or any other laws. DataBreaches.net has sent two e-mails to CSS over the past days seeking their response to certain questions about this hack. Neither e-mail received a reply. An attempt to contact CSS via their Twitter team also failed to get a response. DataBreaches also sent an e-mail to the Office of the Information Commissioner for Jersey to ask whether this breach had been reported to their office, and in other correspondence, attempted to contact a U.S. resident who contracted as an environmental researcher working on the Fugro Discovery to find out if CSS had notified her of the hack. No replies have been received from the OIC or the environmentalist. This post may be updated if more information becomes available. But in any event, if TDO has developed a special focus on Professional Employer Organizations (PEOs), which is what they tell me and which is what the Prime Staff Inc. and CSS hacks indicate, other firms in that sector should be taking extra security precautions these days. I can confirm that we have made contact with the local organisation and are awaiting a response from them. We can therefore confirm that we are looking into the matter. However, as already stated we cannot make any further comment with regard to ongoing matters, not least because at this stage we do not know the full facts. So eventually, we will have some determination from that regulator as to whether notification is needed for this situation.